This Search Engine Optimisation Lesson is number three out of five and focuses on the different factors that make up a successful on page SEO campaign. The Breadcrumb trail and Heading tags are a crucial element of on page SEO. Both elements form the strong basics of good SEO practice. • Trails are generally the first text that appears at the head of a page and therefore hold great SEO importance. • Keyword rich internal links is an important and beneficial by product of implementing breadcrumb trails. It is very important to make use of heading tags as they carry a lot of SEO weight. Heading tags are probably the second most important SEO element after page titles. The heading tags are twice more important than your main content for a page. Ensure your heading tags are keyword rich and specific to the page. Do not just use H1 tags but make use of the H2 and H3, although the latter two tags do not carry as much weight they are still good on page SEO practice. Try not to use any more than five to seven heading tags on a single page. The overuse of tags may dilute the content somewhat. They are a great method of breaking up your content and helping the reader gauge the importance levels of your on page text. The above points are two very important elements of on page SEO and will stand you in good stead for your overall Search Engine Optimisation Campaign. On Page Optimisation involves any changes you make to your own website. These changes will mostly involve changing the code, content and links within your website. It is good practice when dealing with Search Engine Optimisation to spend a good amount of timing planning your on-page optimisation. See your on-page optimisation as the ‘laying of the foundations’ for a successful Search Engine Optimisation campaign. Below are the Six Lessons in Search Engine Optimisation excellence. If these steps are correctly followed you are guaranteed the best possible SEO start. Your website or the site you are carrying out SEO for, will soon be featuring at the top of search engines. Each category acts as a short introduction to another article. This article is the first piece of writing within a collection of six articles. This is an important aspect of on-page SEO. Quite often the page title will be used within the Search Engine Results Page (SERP) The page title holds the most weight because search engines will use this as a description of what a page contains. Some website directories and certain search engines may use this meta description as a little bit of descriptive blurb when showing a link to your website. Keywords make up the backbone of any Search Engine Optimisation Campaign and shouldn’t be under estimated. By having specific keywords for each page it’s easier to create other external digital assets that share keywords, link to the page and therefore boost its online importance. The breadcrumb trail is a useful tool for Search Engine Optimisation, not only does it create more internal links but improves user navigation. The trail will act as separate markers on a line of direction into the website. Heading tags are normally known as H1,H2,H3 etc. tags. H1 represents the most important. This is a good method for laying out information dependant on importance. The body text makes up the majority of any website. Un-surprisingly this is where keywords come into play. Well structured prose will allow for a healthy amount of important keywords to be used. Alt tags are image descriptions. These descriptions are often left blank, or the description bears no resemblance to the image. Alt tags are another SEO factor to take advantage of and sprinkle with keywords. Twitter is an effective and useful business tool. It’s a great way to communicate with current and potential customers on a very personal level. In the past businesses would speak to their customers through large marketing campaigns using mediums such as billboards and tv advertisements. These techniques rely on the more direct hard sell. This non-personal approach is slowly dying out and making way for the age of social media and web branding. The one on one conversation between the large company, and the individual customer can be seen as making a come back. More large and well established businesses are getting a team together solely to deal with their social media and web branding campaigns, especially with Twitter and Facebook. The challenge of setting up your own effective Twitter campaign is being able to define clear and achievable goals. Spend time getting to the bottom of what results you want from your campaign, who’s your main target, do you have a basic protocol for your business to adhere to? By asking questions such as this you will quickly build up a more accurate picture of where you need to be going and how you plan to get there. Start your campaign by searching for other Twitter users who share similar interests, are located nearby or who are in your business industry. Many people new to Twitter can’t see the benefit of posting a 140 character message, but there’s far more than meets the eye. Following interesting and knowledgeable people is a huge part about what your Twitter campaign should be about. Stay up to date with the top leaders and thinkers in today’s world. They say ‘Success breeds Success’ so it makes sense to get in the mind set of those people. Twitter is able to offer your business many opportunities that aren’t available elsewhere. Business press-releases and company announcements have immediacy and will reach a wide audience if your Twitter campaign is correctly implemented. 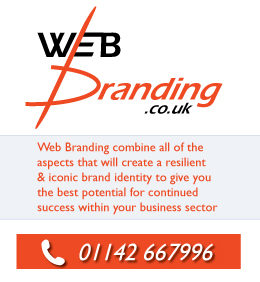 Business web branding will see a noticeable improvement. It will take a number of months to build up a decent amount of followers but it’s worth the wait. A handy tip for getting more followers is very simple. Post unique, interesting and amusing information on a regular basis and you will soon see a noticeable increase in your followers. Good variation of content is a must for any successful campaign. For instance don’t just link to your blog. Disperse your links throughout all your digital assets, this will improve your web branding presence. These may include special offers on your website, photos on Flickr, Videos on YouTube, articles on Ezine, groups on Facebook, forum posts and a whole host of other content you may have online already. One final point, always remember to smile and tweet! no one likes the moaning and negative Tweets. Relentless SEO advancement is guaranteed, when you look at the changing landscape of Search Engine Optimisation. Another guarantee is the constantly changing algorithms. The leading search engines are continually adapting their search methods, to enable they always give the most accurate results. Algorithms and the changing face of the online digital world means that SEO, as a profession is one that will never stand still. The advent of a new looking real-time search is upon us. Real-time search is most relevant to the world of news, social media and micro blogging. This change has the makings to really shake up the world of SEO as we know it. First, a little insight into some significant changes within Search Engine Optimisation over the past few years. • SEO has been changing and adapting but interestingly when you look at the layout and appearance of the search engine results page (SERP), little has changed. • Search enhancement was a first noticeable change with search engines adding customizable features to the SERPS to complement the basic text results. • Google reinvented how pages are ranked which has changed the SEO playing field for good. • Google introduced the ‘Onebox’ in 2006 which was located at the top of the SERP. This caused significant changes to how Search Engine Optimisation was carried out. The box was most influential with the provision of integrated business listings with Google Maps. • A more recent feature has seen the appearance of ‘Google suggest’ which offers alternative search queries while you type. This has the potential to bypass the old school’ first round of SERP and can transfer a searcher from one set of results to another without even seeing the original listing. So the next search phenomenon is upon us, Real-time search and all that goes with it. The top search engines are currently playing around with how this may work and where the new results should be placed. If they are positioned above the organic results this may have a huge impact on SEO. A good example of real-time in action is the betting odds on a sporting event. The odds are continually being updated throughout the duration of a live match. Twitter search is becoming a favourite with some internet users who want guaranteed up to date news and information. Google’s initial attempts in the real-time search market still have a long way to go. Real-time data is really more for the social media arena with the likes of micro blogging and social bookmarking sites. The up and coming challenge for Search Engine Optimisation is how to adapt to this trend and take advantage of the opportunities it will breed. Another topic to keep your eyes out for is the up and coming surge of online videos. You Tube is currently one of the top players in the search game, no surprise really seeing they’re owned by Google, but this point is still a valid one. It is estimated that forty percent of people searching on Google will now see videos amalgamated into the SERP. This shares a cross over point with the rise of images and shopping options showing up on the a large proportion of searches. All these changing factors must be accounted for as the face of SEO is rapidly changing. It could be easy to be worried by these recent changes, as they are clearly game changers in how the world of future Search Engine Optimisation will be perceived. An important point to remember though is SEO is still a relatively young discipline and its high speed of evolution can only be a good thing. It must be embarrassed for the benefits of the end users and of course the new opportunities and challenges it will throw up for the future of SEO. The Internet has never been more influential for a successful business than today. Web Branding is a form of online promotion and a visual arrival point for visitors discovering a business for the first time. Web Branding includes absolutely everything online that is the property of, or represents a business. This is often referred to a company’s digital assets. A complete digital asset archive for a business’s web branding campaign would include any of the following web components. For successful and memorable web branding all the digital assets mentioned above must adhere to the same web branding guidelines. 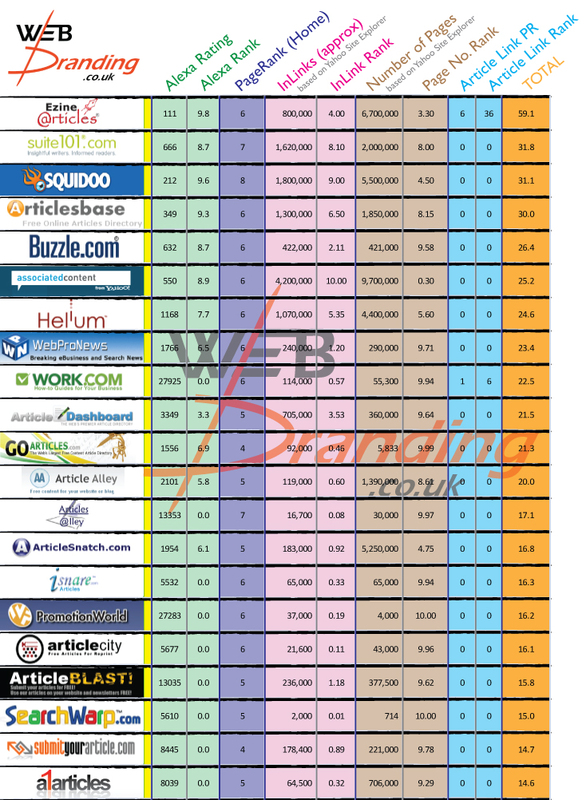 A regimented approach to the web branding guidelines will guarantee an excellent level of business brand recognition. Better brand recognition is great online marketing and a form of free advertising. Web branding shares many similes to Branding of yester year, the firm basics still remain the same: Simplicity, Brand character, a clear Image of values and most importantly a memorable brand that your customers will hold in high esteem and talk about positively. A high standard of web branding when posting any material online is key. This will always keep your business brand fresh in your potential customers’ minds. The next time someone is asking a friend or a college if they know of a good business within a certain sector, your business brand will be on the tip of their tongue. Web Branding is becoming more important every day. The amount of money being spent on marketing off line is, and has been steadily falling for many years. For more business impact, get the basics of a great web branding campaign together today.